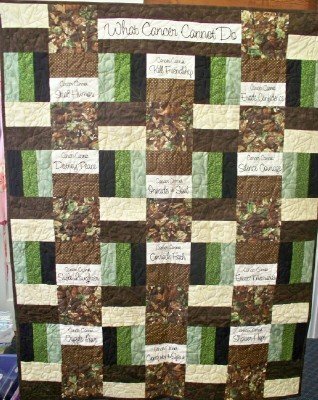 Fabrics and pattern to make this inspirational quilt. This kit was coordinated especially for men. Fabrics are green brown and black. Includes the inspiration panel. Size is 42" x 54".